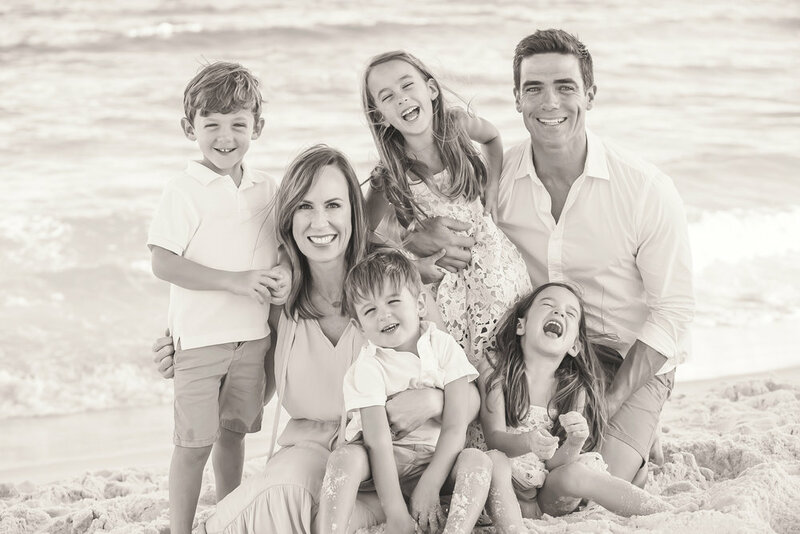 I am a Certified Pediatric Sleep Consultant living in Baton Rouge, Louisiana with my husband and 4 children. I received my certification from the Family Sleep Institute (FSI) in 2016 after completing over 250 hours of required coursework, which is 3x greater than any other sleep consulting program in the nation. Prior to this, I owned a successful women's clothing boutique for 8 years before I closed it to raise my children. As a mom of 4 (triplets + one), I am no stranger to sleep deprivation. Fortunately, with multiples on the way, I was extra motivated to take control of forming healthy sleep habits for all of my children early on. I set out to read whatever I could find about infant sleep to synch my triplet's schedules simply out of the need to survive. After my last child turned 4 months everyone in my family slept soundly, in their cribs for 12-hour stretches. It wasn't until one of my champion sleepers turned 3.5 that his sleep deteriorated drastically, along with his behavior. I joined the sleep deprived parents club once again, but this time I didn't know how to rectify the situation. The baby sleep books I had previously read only helped me teach them to sleep, but not to fix problems down the road. With the help of my pediatrician and a lot of research on children's sleep, I was able to fix his night waking problems and prevent them from reoccurring. I was troubled, however, about how badly his behavior had been affected by lack of adequate sleep. It made me wonder how many other children have been given behavioral labels where sleep deprivation was the root of the problem. Upon researching, I came across FSI and felt compelled to learn everything I could about the field of infant and child sleep. Because my children sleep so well I am always asked by others how I did it, but I never anticipated I would make a career out of this. But, after I experienced what I did with my son, I felt a calling to the profession. With what I learned in my training, coupled with personal and professional experiences, I am excited for the opportunity to help you improve your family's sleep. Sleep is a biological need of every child. It is a common misconception when children don't sleep as well as they should that they just don't require much to function. Insufficient sleep can affect your child's attention, behavior, learning abilities, mental and physical health. There is not a "one size fits all" approach to sleep shaping and therefore your child will need a method that is uniquely designed for him, his needs and your parenting philosophy. You will never be pushed into a method you don't feel completely comfortable with. I will be with you every step of the way to offer encouragement, support and educate you on your child's sleep needs. You will be taught how to set him up with healthy sleep habits he will carry with him throughout his life. It takes much longer to undo unhealthy sleep habits, then it does to create them. This process requires patience and 100% consistency in order to see the results desired, but you will be amazed at what we can accomplish together.